“As we approach the fifth anniversary of one of the worst environmental disasters in U.S. history, there is no question that the damage unleashed by the BP oil spill is serious, evident and ongoing. Five years have passed and BP is still sidestepping responsibility. “Despite BP’s attempts to convince the public through high-priced publicity campaigns that the Gulf is fine, the negative impacts of its ‘gross negligence’ will be felt for decades. BP claims that the Gulf’s natural resources have rebounded, but peer-reviewed scientific studies and visible ongoing effects tell another story. Five years later, 10 million gallons of oil remain on the Gulf floor. Last month, a 25,000-pound BP tar mat was discovered on a Louisiana barrier island. 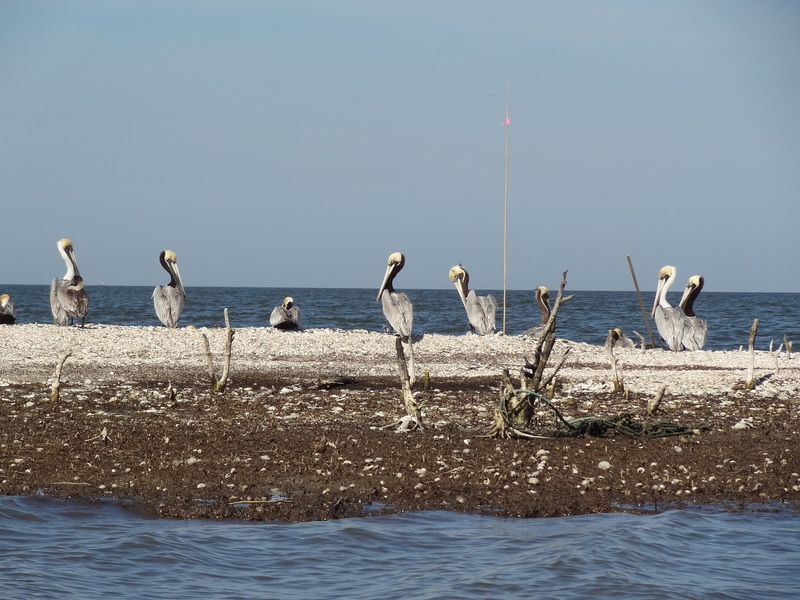 And Cat Island – an important nesting site for brown pelicans and other coastal birds – has nearly disappeared since the spill. Even more troubling are the lingering effects not visible: significant damage from oil and chemical dispersants to the food web, wildlife and overall ecosystem of the Gulf Coast. “In the courts of public opinion and science, BP’s claims that the spill’s effects are limited and that the Gulf has recovered have no merit. Rather than wasting additional precious time and money dodging blame, it’s time for BP to drop the publicity campaign, let the courts and scientific process decide, and then quickly pay for the damage it caused. 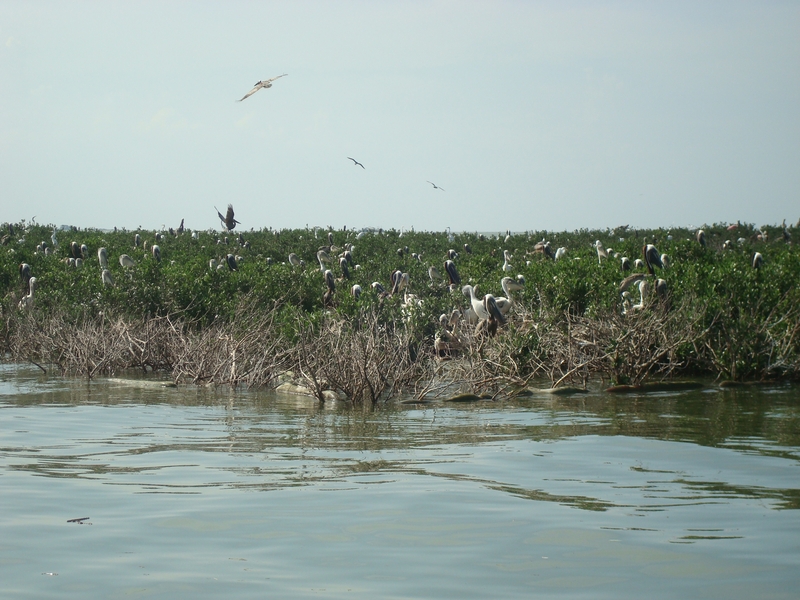 “The Gulf Coast depends on a healthy ecosystem to feed and fuel the nation, so ensuring that it’s comprehensively restored is not just a regional issue – it’s of utmost importance to people across the country. A recent poll found that 70 percent of Americans believe BP should pay the maximum fine allowed under the Clean Water Act. Clearly, America is stronger when the Gulf is stronger, both ecologically and economically. But in addition to the effects of the spill, Louisiana has been facing a land loss crisis for decades – since the 1930s, we have lost 1,900 square miles of land. Nowhere is restoration more needed than in the Mississippi River Delta, which was ground zero for the Gulf oil disaster. BP should put its money where it is most needed, toward meaningful restoration of America’s Gulf Coast, as opposed to legal fees and promotional dollars. Since the BP oil disaster five years ago, ongoing findings deliver truths omitted by BP’s ads: the oil disaster’s negative effects are increasingly clear, present and far from resolved. A new NOAA study found a large number of dead dolphins in heavily oiled places, including Barataria Bay, La. Recent studies estimate 800,000 birds died as a result of being exposed to BP oil. Modeling for a recent stock assessment projected that between 20,000 and 60,000 Kemp’s ridley sea turtles died in 2010 as a result of the spill. A recent survey found that 70 percent of Americans believe BP should pay maximum fines under the Clean Water Act for its role in the 2010 Gulf oil spill.